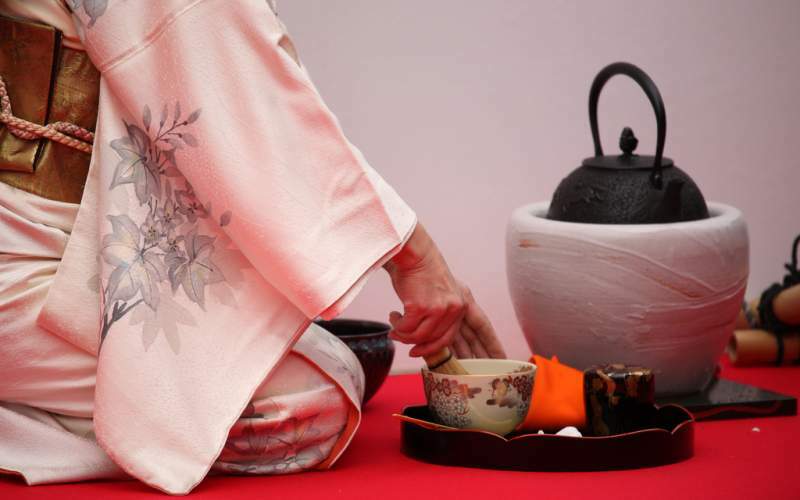 The tea ceremony is a great opportunity to experience the traditional culture of Japan. Some great opportunities to attend a ceremony can be found during a visit to the old capital city of Kyoto. Zen Buddhism was a primary influence in the development of the Japanese tea ceremony. The first documented evidence of tea in Japan dates to the 9th century, when it was taken by the Buddhist monk Eichū on his return from China. Around the end of the 12th century, the style of tea preparation called “tencha”, in which powdered matcha was placed into a bowl, hot water added, and the tea and hot water whipped together, was introduced to Japan by Eisai, another monk, on his return from China. This powdered green tea was first used in religious rituals in Buddhist monasteries. By the 13th century, when the Kamakura Shogunate ruled the nation and tea and the luxuries associated with it became a kind of status symbol among the warrior class, there arose tea-tasting parties wherein contestants could win extravagant prizes for guessing the best quality tea—that grown in Kyoto, deriving from the seeds that Eisai brought from China. 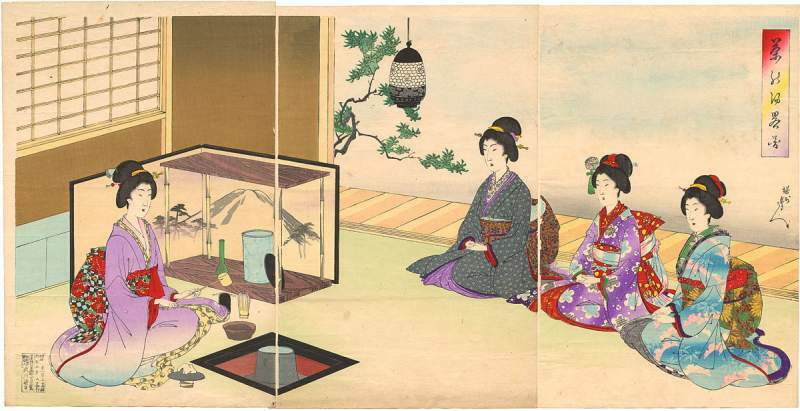 By the 16th century, tea drinking had spread to all levels of society in Japan and in the 16th century the tea ceremony was perfected by Master Sen-no-Rikyu based on the spirit of Zen. 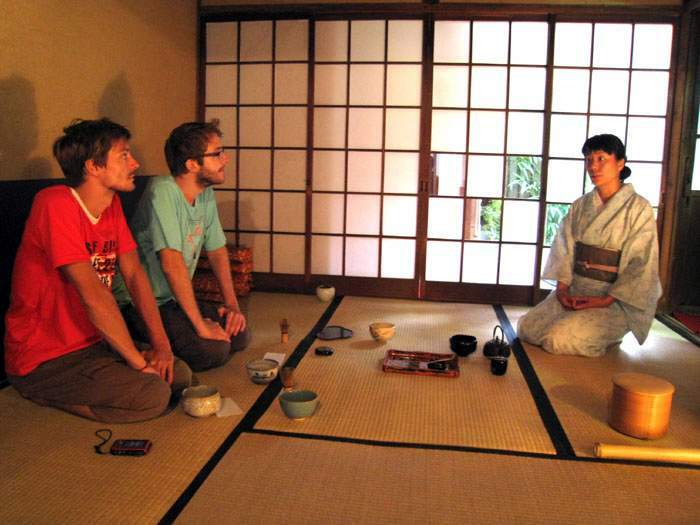 Watch the above video for a nice introduction to the Japanese tea ceremony. The health benefits of drinking green tea has been published frequently in the media around the world and Japanese have been huge drinkers of green tea for centuries. Probably one of the reasons they live so long. Come to Japan and learn about the culture around green tea and go back home and continue to enjoy drinking this great beverage.